I would love to see some Gnome-Do-like capabilities… in form of plugins if possible. As long as the shortcuts are not likely to be hit by newbies (I’m guessing they’d be confused by the extra oomph), it looks like a good workflow match. So the search bar is still on the top of the left pane but it’s output is displayed in a new pane? Doesn’t make much sense to me at all. I also wonder about the displayed applications (fav and running) on the left pane. Does clicking those launch new instances or does it zoom in on the running app? What I’d love to know is how fast rendering actually is. 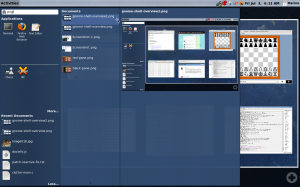 I don’t see what Gnome3 offers that others don’t. And from those screenshots. gnome 3 will just be a copy of 2 just with a little different things. 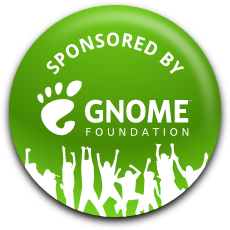 Gus: We have been looking at GNOME Do and will be figuring out how it should interact with the GNOME Shell. Michael: Search box on the left and results panes on the right actually works out fine. We have explored having the search box on the right, but decided not to go with that option since we want the search to be as central and as easily accessible as possible. Clicking on displayed applications launches a new instance if the application is not yet running or switches to the application if it is already running. We have ideas about highlight windows or offering a selection of tabs for applications that have multiple windows / tabs, but have not implemented that yet. prokoudine: The rendering is fast. People were running into problems with certain graphics cards initially, but I haven’t heard too many reports of problems lately. Lenny: There are immediate differences in the experience when using a new graphics toolkit, dedicating a full screen to context switching, and introducing a new notifications system. However, the changes should not be for the sake of making everything different, but for the sake of creating a sleek and easy to use desktop. If you have any ideas you think we need to explore, please feel free to send them to the mailing list. Marina; you do realize people like Lenny are not into constructive criticism, right? GNOME 3, I don’t know about. 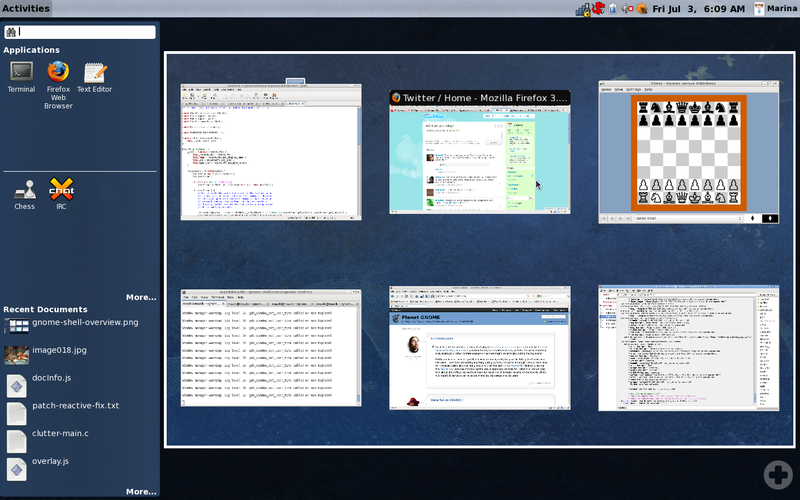 . . GNOME Shell and Zeitgeist are looking awesome. I’ve been using Shell at work for some days now, it rocks. At home, I get a weird error message saying META_SCREEN_TYPE is not set when building. Thanks for everything, and I do mean everything ! Can you try asking your question on #gnome-shell on irc.gnome.org or by posting it to the GNOME Shell mailing list http://mail.gnome.org/mailman/listinfo/gnome-shell-list ? By the way, that Do thing people were asking about . . . I’ve heard of plans to “doify” the GNOME desktop; Shell is definitely a chance to do this. Just a question. If the most important activity (or somewhere pretty much on the top) people do with desktop is communicating, wouldn’t be possible somehow to integrate roster (probably from Empathy or even pidgin?) to the Activities panel? I would prefer it over Most Recent Documents any moment (using too many non-Gnome apps means this panel is quite useless to me). I don’t know what people find interesting in Gnome Shell. I only find it useful to some people who like eye-candy and extra components. I would rather love to see Gnome more memory efficient so it can compete with light desktop environments like LXDE, which is very good but not yet as polished as Gnome. Gnome should use the advantage of being the leader of the classic desktop environments and improve up to a point it can run significantly better even on slower machines – which means even better performance on today’s hardware. @kneekoo Actually, concerning eye-candy, I find gnome-shell to be much less cluttering the display than plain metacity with gnome-panel. That overview thing (which is the only eyecandy I can see around) … think about gnome-shell as a modal interface in the same manner as you think about vim. There is one mode for working on one workplace and another one for overview. 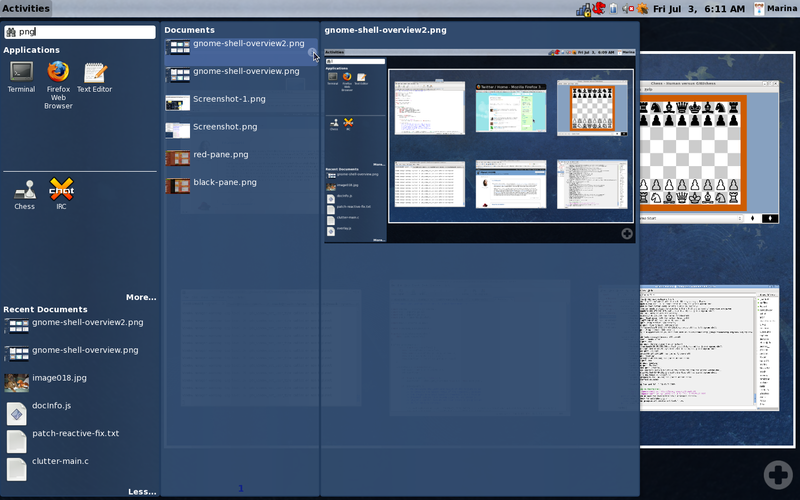 I actually found gnome-shell quite addictive.